We rely on artists to act as spirit guides during periods of transition, showing us how abstract compositions can represent figures and landscapes, and that you can find art in the everyday. 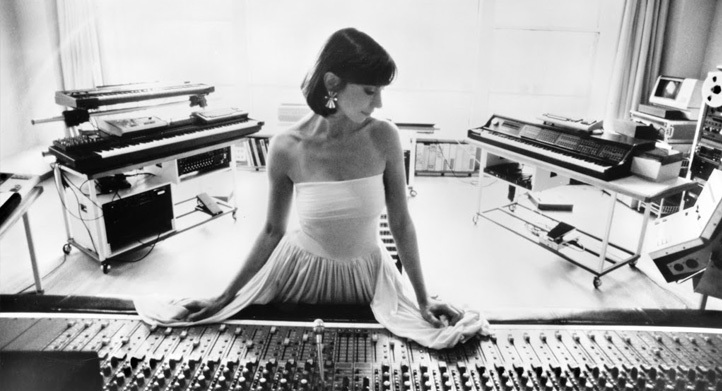 Or, in the case of Suzanne Ciani, how electronic sounds can represent natural ones. What may sound like blips and stutters to the average ear invoke rain, chicken frying, or the sound of a soft drink being poured to Ciani, which led her to create “audio logos” for huge companies like AT&T, General Electric, Coca-Cola, Energizer and ABC, to name just a few. As a pioneer of electronic music, it only made sense that Ciani eventually would move into a career as a studio musician, often incorporating audio imagery into songs, like the famous “skyrockets” sound in Starland Vocal Band’s huge hit, “Afternoon Delight,” or laser sounds in Meco’s disco version of the theme from Star Wars. In addition, she’s released more than a dozen albums of her original music, five of which have been nominated for a Grammy. As musicians have rediscovered what they love about tactile interfaces and analog sounds, we now find ourselves in the middle of a modular synthesizer revolution, reminiscent of the boutique stompbox explosion of the last decade, making Ciani a crucial link to the first wave of electronic music. “Isn't it wonderful? We saw it coming though we didn't know it would end up like this. But boom! It did,” Ciani says, adding that young builders finally are bringing fresh ideas to modular synths, which were developed over a half-century ago. In the early days of synthesis, Ciani says a dichotomy formed almost instantly. Robert Moog and Don Buchla each invented their synthesizers at roughly the same time. But whereas the Moog synthesizer was rooted in Western musical traditions, and almost always was tethered to a 12-note-scale-based keyboard, Buchla eschewed that idea, considering the new technology an opportunity for unfettered musical explorations. Most important of all, the Buchla was designed with performance in mind. “It was compact and portable. There were people out playing live, being interactive, learning and teaching performance techniques, just like you would with any instrument,” Ciani says. However, the Moog idea won the day, and behemoths were assembled. “It pushed people into studios, isolated and layering sounds. That approach meant the death knell for the development of any new, performance-oriented instruments,” she says. "The essence of an art and technology system is that you have both sides bouncing ideas off each other. I hope the conversation stays alive." Ciani is delighted that modern modular synths lend themselves to live performances, she says, as Eurorack enclosures have encouraged standardization and portability. Builders like Pittsburgh Modular, Doepfer Musikelektronik GmbH, Synthesizers.com, Analogue Solutions and Make Noise, to name a few, are making modules and starter systems that are priced within reach, encouraging more people to acquire them. In her last year there, Wellesley became the sister school to Massachusetts Institute of Technology. She and a few classmates were at MIT one evening, in the studio of a professor who had been given a grant to study computers and he excitedly demonstrated how one could make sounds. At the time, computers were huge and complicated, and creating even simple sounds required programming and processing. However, because that was a way to test processing speeds, a partnership between the sound and computing worlds was born. She moved to California but quickly learned the program was focused on musicology. “They were more interested in dead composers than living ones,” she says. 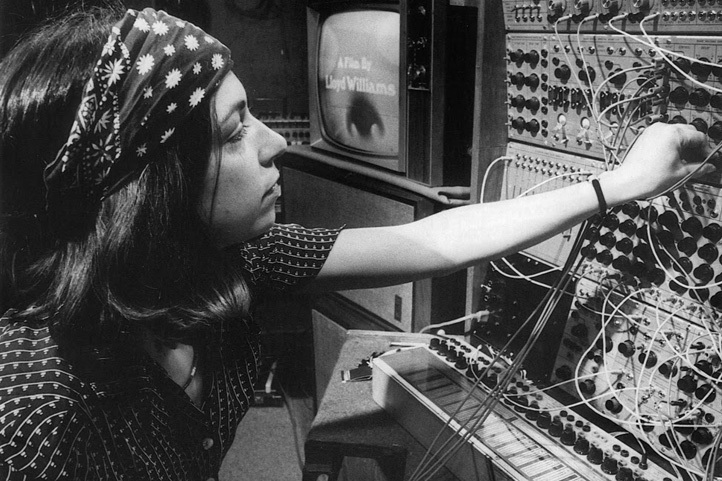 However, she ended up in the right place at the right time and studied at Stanford Artificial Intelligence Lab with Max Matthews, the father of computer music, and John Chowning, of FM fame, and met Don Buchla in Berkeley. “The whole thing just exploded right there in front of me,” she says. What happens when someone who has only known the Western scale and keyboard is thrust into a situation where none of that matters anymore? As unlikely as it may seem, the transition was natural for Suzanne. 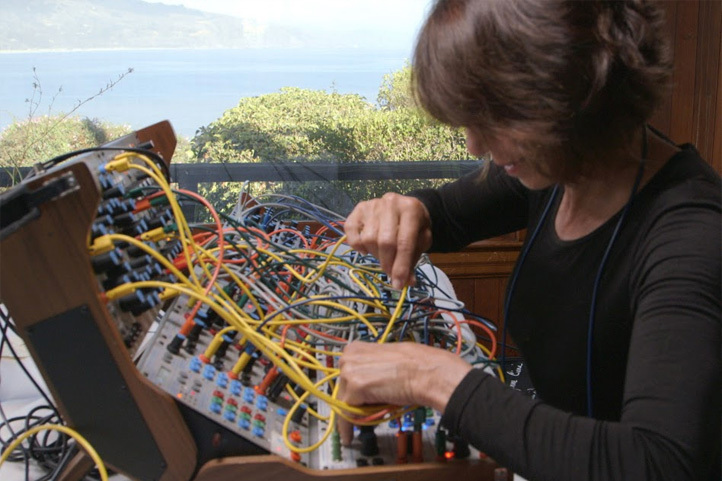 “I'd been trained as a pianist, but Don Buchla proselytized from the very beginning that the mechanical keyboard was not an appropriate interface for the synthesizer, and he was right!” she says, and went to work for him, gaining access to some of this gear. Feeling dissatisfied after previously studying Western music exclusively, and spending nearly a year working with a single key on a piano questioning what harmony, melody and the relationship of notes really meant, things finally clicked for her. “Suddenly I was immersed in electronic music, and all of those questions were obliterated. It was a whole new paradigm,” she says. Mills gave Ciani a Moog to use for an entire summer, at a time when they were cost prohibitive for most musicians to buy. “I consider these instruments warm and human, so I never shut it off. I immediately started undoing some of my traditional training and thinking regarding automaticity. “I'm Italian, so I feel music should be emotional. The academic strand of music was based on extracurricular concepts of difficulty, ‘Oh, look at me, I can play 13 against 11.’ In electronic music there was no such thing as difficulty. That whole boundary system was eradicated,” she says. 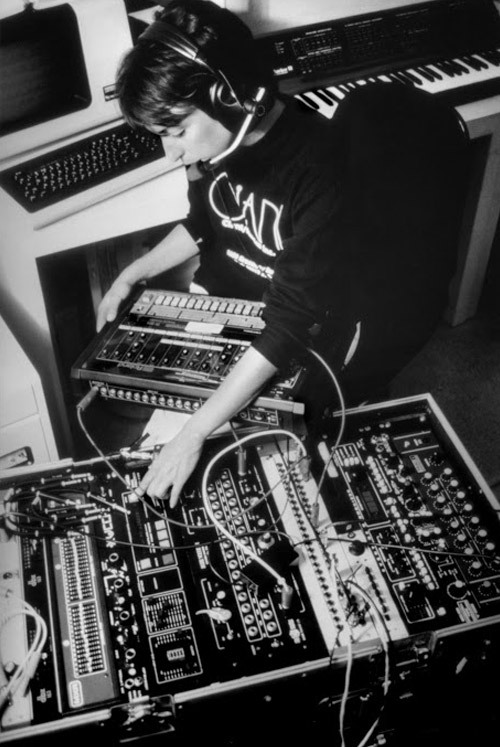 Electronic music has always been a marriage of music and technology, which in the early days often meant an artist would work with non-musicians. And in the late '60s, the nonprofit Experiments in Art and Technology paired engineers who had aspirations of working in an artistic realm with artists to collaborate on creative projects. “The first project I worked on involved video technology,” Ciani says. “Then I got my very first commercial job doing 10, 10-second-long Christmas commercials for Macy's. I did them at Mills Tape Music Center, which technically was not allowed since you couldn’t do commercial work there. It was a natural progression from her first work. 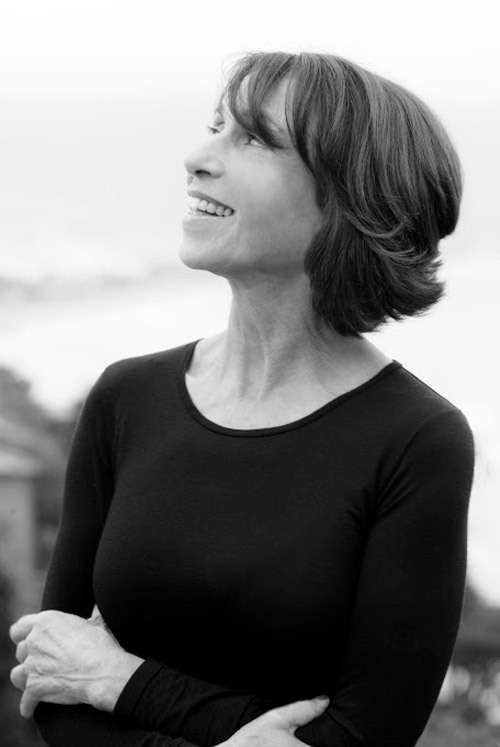 The idea for Voices of Packaged Souls was brought to her by sculptor Harold Paris, Don Buchla’s next door neighbor, who would suggest abstract sounds for her to create electronically. Some of her early commercial work hinted at her classical training. In the early days of the technology, electronics could make sounds that traditional instruments couldn't, but the opposite was true too. Keeping with the times, and a lifelong embracing of the cutting edge, Suzanne has always incorporated newer technologies in both sound and recording. That urge led her to explore softsynths and write two albums in Italy. “The portability aspect makes things possible. I once wrote some music in Venice, and then rediscovered it five years later,” Ciani says. “I hadn't recorded any of it; I resumed work on one piece and started plugging in these Moog library sounds. The piece kind of came to life. There it was!